These days, I'm trying to focus on buying less, especially new things. But there are a few things I'll buy new - underwear and Loomstate 100% organic cotton t-shirts. They might be the softest t-shirts I've ever owned. I just got myself one on sale (along with some Pi organic cotton undies) at Greenloop. And in case you didn't know, Greenloop recently won best online fashion shop from Treehugger's Best of Green Contest. So take advantage of this great sale and stock up on some super soft organic cotton goodies at the Greenloop! If you're curious about eating locally and foraging for food, or maybe you just have a penchant for dance, head on over to the Community Bookstore in Park Slope this coming Tuesday (Cinco de Mayo). 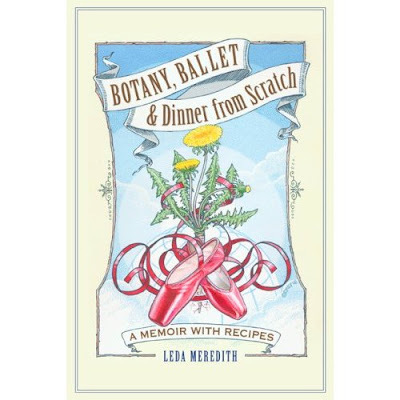 Leda Meredith will be reading from her book Botany, Ballet, and Dinner from Scratch. If you don't get a chance to catch her there, sign up for one of Leda's foraging tours in Prospect Park. The next one is on June 20th - prime berry picking season. Get the deets at GreenEdge NYC.